North Korea should take "actual action" towards giving up its nuclear weapons to break the deadlock in talks with Washington, a top security adviser to the South's president said, suggesting Seoul's patience with Pyongyang may be wearing thin. 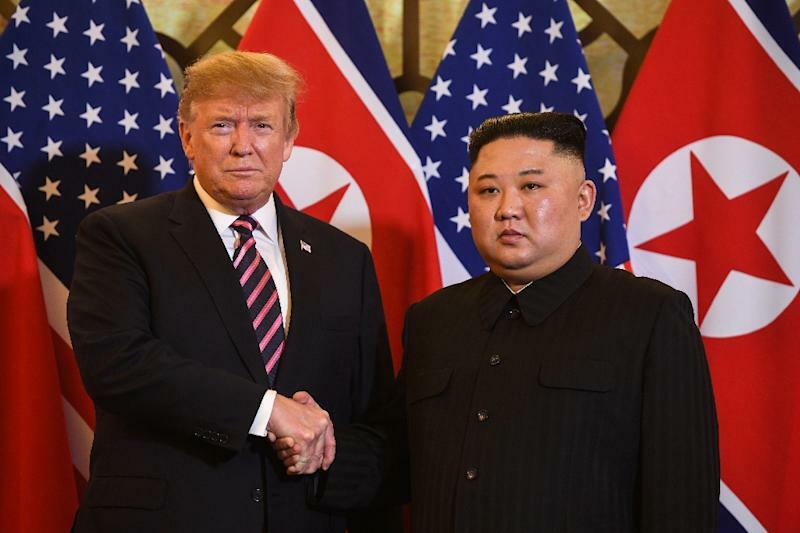 But the first summit between the North's leader Kim Jong Un and US President Donald Trump in Singapore in June produced only a vague commitment to "work toward complete denuclearisation of the Korean peninsula". That triggered international alarm that North Korea might be preparing a long-range missile or space launch, which could put the whole negotiations process at risk -- Pyongyang has not carried one out for more than a year and Trump has repeatedly said its continued moratorium is crucial. A launch of any kind by the North would be a "disaster", said Moon's special adviser on national security Moon Chung-in. The "outcome will be catastrophic", he told AFP. In Hanoi, US officials said, Trump urged Kim to "go all in" and that "the weapons themselves need to be on the table". In return, they were "prepared to go all in as well". But it was not clear exactly which facilities at the Yongbyon nuclear complex the North was willing to give up, while they wanted "basically all the sanctions except for armaments" lifted, the officials said. For its part the North's foreign minister said it only wanted some of the measures eased, and that its proposal to close "all the nuclear production facilities" at Yongbyon was its best and final offer. 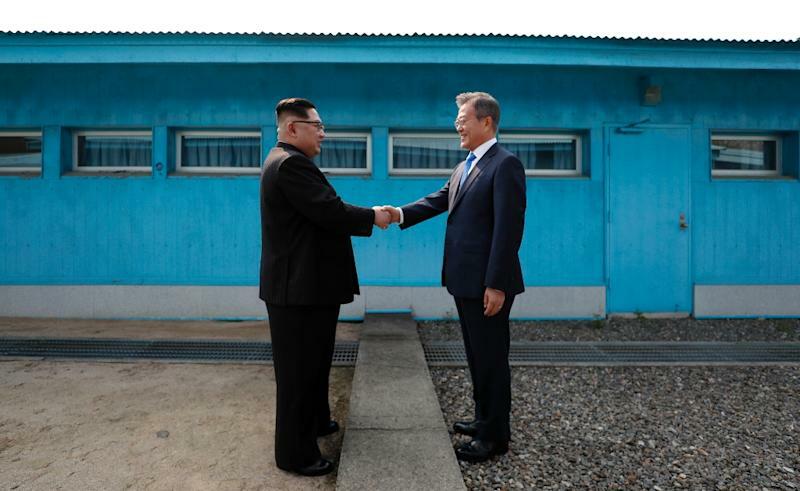 Moon's goal, his adviser said, was a "nuclear weapons-free, peaceful and prosperous Korean peninsula" -- and he would not accept a peaceful accommodation with a nuclear-armed North. The South Korean president has long pushed engagement with Pyongyang to bring it to the negotiating table, but his security adviser backed US Secretary of State Mike Pompeo's assessment that "talk is cheap", saying that the North had given "words and commitment, but no actions". Kim had told the South Korean leader that he had dismantled 30 percent of the Sohae rocket site, including "about 20 percent of the launching pad -- but he hasn't shown us", Moon Chung-in said. "That still needs some kind of observation or inspection." Similarly, Pyongyang claimed to have demolished "two-thirds" of its nuclear testing ground at Punggye-ri, but that too "needs verification", he said. "North Korea should take further moves to really dismantle all of them," he stressed. "It is now the North Korean turn to show actual action to make (the) US move." Openness was crucial, he added. There are many competing estimates of the North's nuclear arsenal, and Moon places the most faith in figures of 30-35 weapons from US expert Siegfried Hecker, who has been to Yongbyon. "But still we never know," he added. "That is why we need the process of declaration and inspection. It's like a blind man touching (an) elephant." 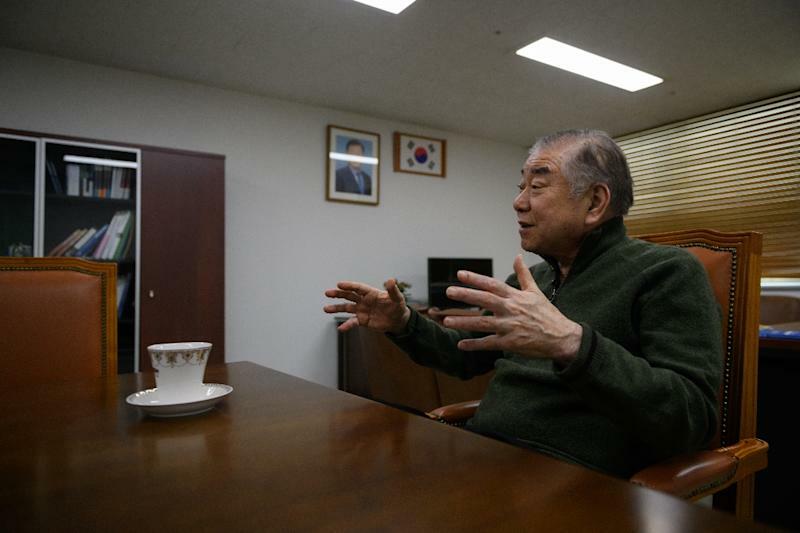 A retired professor of politics, Moon Chung-in has been involved with policy towards the North for decades and was one of the architects of the "Sunshine Policy" of engagement with Pyongyang under president Kim Dae-jung. He stressed that he speaks for himself and not the president -- as an adviser, he is outside the formal policy-making process -- but his comments may suggest the South will press the North harder to narrow the gap with Washington on nuclear talks. The South is pushing an "all for all" agreement, as demanded by the US, combined with Pyongyang's insistence on a step-by-step process to get there, described by Moon Chung-in as "incremental implementation with an acceptable road map". Moon has met Kim twice and says the North Korean leader has a "mastery of issues". "He's young, much more willing to talk" than his father and predecessor Kim Jong Il, "kind of entertaining". Kim understands that "complete denuclearisation" includes his existing stock of weapons, and the missiles that can reach the US mainland and other targets, he said. The North Korean leader was -- like any negotiator -- looking to minimise risk while maximising benefits, Moon said, and "hedging" because "regime survival is at stake". But he must have been "very shocked" when Trump walked out of the Hanoi meeting, Moon said. "I think that was a very important learning process for him."